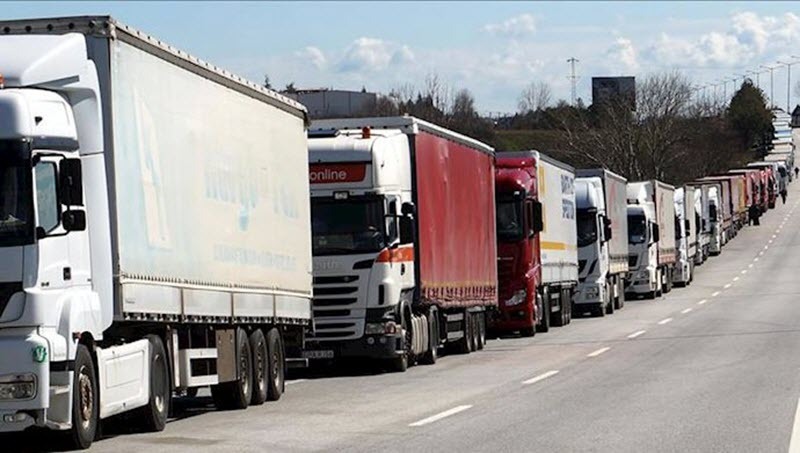 Iran, Nov. 10, 2018 – Iran’s hardworking truck drivers are continuing their new round of nationwide strikes for the eighth consecutive day on Thursday, demanding the release of their apprehended colleagues and protesting skyrocketing spare parts prices. This protest/strike movement has now reached 71 cities in 25 of Iran’s 31 provinces. From the beginning of November, Iran has been the scene of numerous protests and strikes. Truckers continued their nationwide strike in dozens of cities. Truck drivers in the cities of Bandar Khomeini, Parvizkhan, Gorgan, Zanjan, Sirjan, Shiraz, Farough, Kazerun, Marvdasht, Mirjaveh, Yazd, Tehran, Bandar Abbas & others were seen continuing their strike. Storeowners in the city of Malard joined the nationwide strike on Wednesday, refusing to open their shops. During the past three days, storeowners in the cities of Tehran, Isfahan, Mashhad, Tabriz, Shiraz, Kerman, Nourabad in Lorestan Province, Babol, Gorgan, Saqqez and Baneh have been on strike, protesting skyrocketing prices and unbridled inflation. This nationwide strike has now reached 20 cities and bazaars in 11 provinces. In Shadegan, southwest Iran, numerous municipality workers were protesting for the second day on Wednesday, demanding their postponed paychecks. These employees have not been paid for the past eight months. On November 6, 2018, the strike of Bazaar merchants in large parts of Tehran and many other cities of Iran continued for the second consecutive day in spite of repressive and deterrent measures of intelligence and police forces. The carpet-sellers and home appliances Bazaar in Tehran, the carpet-sellers and handicrafts market in Isfahan, Sarshour market in Mashhad, Tarbiat Street market and the apparel market in Tabriz, as well as parts of Kerman, Rudsar, Babol and other cities continued their strike today in protest of inflation, poverty and high prices, and the bazaar merchants refused to open their shops. Truck and heavy vehicle drivers, on the other hand, continued their sixth day of the fourth round of their strikes today. In addition to Tehran, the strike included many provinces including Isfahan, Hormozgan, Zanjan, Golestan, Kermanshah, Kerman, West Azarbaijan, Central, Khorasan Razavi and Yazd. The farmers of the eastern and western villages of Isfahan also held their fifth day of strike today. Deprived farmers of Khorasgan, Isfahan, Dashti, Ziar, Hayderabad, Shahkaram, Vajareh, Semina, Khorram and Khoorchan, Bistoon, Ejieh, Varzaneh, Vedasht, Kandoon, Zaghmar, Pilevaran, Jor, Qahdarijan, Zarin Shahr, Goldasht, Kushk, Najaf Abad and Falavarjanparticipate in this sit-in and protest. The IWW calls on all labor organizations to condemn trampling of the workers’ basic rights and to demand the ruling dictatorship in Iran release all detained workers, to respect the basic rights of workers and to adhere to all international labor laws. We demand the quick and unconditional release of all workers and truck drivers who were arrested during strikes. We express our support for the demands of the workers, drivers and the working people of Iran and urge all labor unions to assist their colleagues in Iran and to support their rightful demands, however they can.